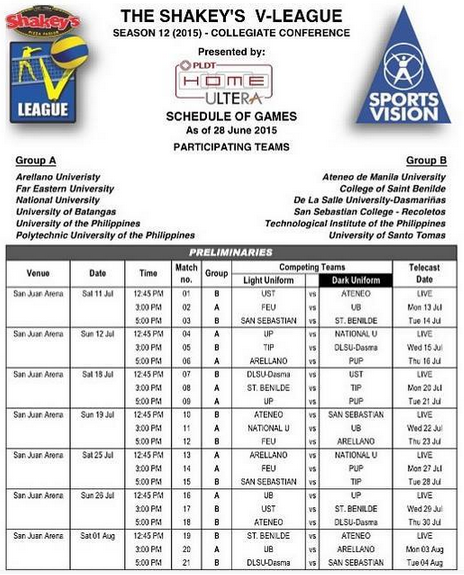 Shakey's V-league 2015 Collegiate Conference Schedule of Games: Take a Look! The Shakey's V-League Collegiate Conference 2015 is slated to open on July 11 with 12 teams aiming to make big waves in the league. Be sure to catch every bit of the action by taking note of the game schedule below .